Home EntertainmentHolidaysChristmas	Truth in the Tinsel for Advent! Truth in the Tinsel for Advent! I want to tell you about a little e-book I bought last year called Truth in the Tinsel: An Advent Experience for Little Hands, by Amanda White ($7.99). It’s an adorable book to help parents take their kids through the meaning of Advent in the days leading up to Christmas. There are 24 days worth of activities, but there are alternative schedules if you need them. Each day as you go through the book and crafts, you are teaching the story of Jesus’ birth to your children. The book gives short stories and scripture verses to read as well as small ornament crafts to make each day with your kids! 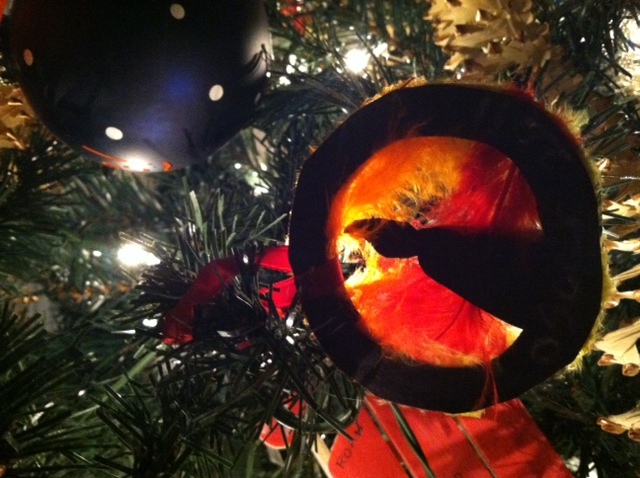 Oscar was a little young last year so we only made one ornament. But look how cute it is! 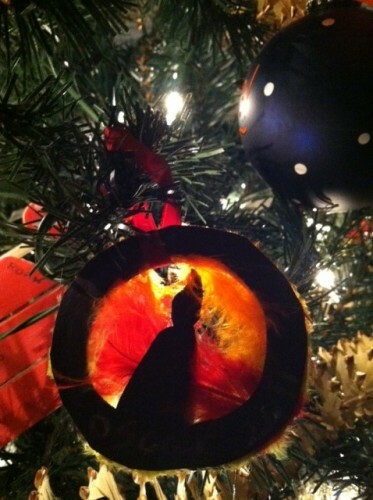 He would say, Jesus is the light of the world in his little 2-year old voice each time he passed the tree. I have a lot of silly little hopes and dreams of tradition wrapped up in this project. But more than anything, I want the boys to understand the simple fact of Jesus’ unconditional gift of love to them. This year I think we are really going to go for it! And I wanted to share it here in case anyone would like to join us! You may need to gather some of the crafting supplies to get ready to go, but you can certainly improvise if needed! The ornaments don’t require much, but I agree with Amanda when she says it’s a good idea to have it all at the ready when dealing with squirmy kids. I am really excited to make this happen and I hope it becomes an annual tradition! I love all of Christmas. I love the gifts and the lights and the tree and Santa and all the silly songs. But in all of that, we celebrate the true meaning of this holiday; and that is the birth of a Savior. I love how Oscar asks questions and wants to learn about what we believe. I hope he will one day choose to believe it too. But in the meantime, it’s important to me that we share the why behind our faith and keep the lines of communication open. And I hope this little book will be a great way to share Advent as a family! Check out the Truth in the Tinsel blog to learn more! 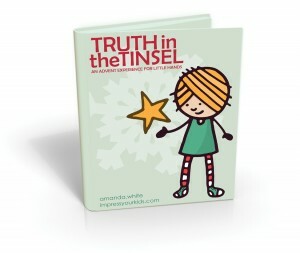 Will you be reading Truth in the Tinsel with your kids this year? I was not compensated for this post, however it does contain affiliate links. All opinions are my own. I bought this last year after trying to decide an advent activity for my girls. I didn’t fall in love with anything but I adore this!! Would love to share ornament posts or ideas!